The site move is complete and things seem to be responding ok. It is possible that the DNS has not fully propogated so until it does it is not clear which site one is seeing. The move has broken some pages but I think that most of the commonly used features are working and it doesn’t seem too slow. Feel free to let me know of issues you see at dave@blu-raystats.com if they aren’t fixed by the end of the week. Hello and Happy Thanksgiving to those readers celebrating today. I am planning to move the site to a less expensive hosting solution this long weekend, so don’t be surprised if there are occasional outages. The site has become somewhat of a burden financially and time-wise for me – moving the site will alleviate one of those issues. On the downside it may run a bit slower though I am hoping that coding improvements could help with some of that. In any case I will endeavor to keep the site updated through to the end of the year at least, at which time I will need to evaluate if I should continue with that, or if I should just archive the database and call it a day. I am hoping that if I can automate more of the data mining for new releases, it won’t be so much of a weekly time sink. Just a quick update on the site regarding the Forum and not being able to login. I ran an update today that appears to have resolved the issue with the login on the Forum. As a result, you should again be able to use the Forum login to access you My Blu-rayStats features. Sorry for the inconvenience – issues like this can be time consuming to resolve and the reality for me right now is that I don’t have as much time for the site as it warrants. In any case, please let me know if you are still having troubles with the site login. 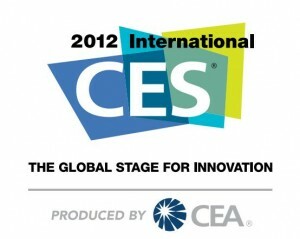 Stay Tuned for Blu-ray Disc News from CES 2012! As for previous years, once again I am happy and proud to represent Blu-rayStats.com at the 2012 CES show in Las Vegas Nevada. I am already in town for the world’s largest consumer technology tradeshow, and am looking forward to seeing all of the new goodies. While my focus is on Blu-ray products, I will also be checking out related media and display products. I will be hitting the booths for all of the major companies and have a meeting scheduled with the Blu-ray Disc Association to discuss the latest news in Blu-ray. Be sure and Like our page on Facebook to see a majority of the pictures and news, updated from my mobile. If you do, you will also have a chance at winning Super 8 or The Art of Flight on Blu-ray, courtesy of Dolby! Something that I have been meaning to do for quite some time is to add pagination to the Statistics Page. While I wanted to wait until the new database version was online, today I felt that it was just too overdue and so when you go to the Stats Page now you will see the new pagination, where you will only see 50 entries, though the stats at the bottom still cover the complete range of your filter selection. You will also see new links at the bottom which allows you to skip to the next page or the first or last page of the filter selection. Clicking on one of these links will show the ‘controls’ in the link, and if you want you can change them directly there. Changing the pSize variable will change the number of entries shown on the page, and any tweaking of these should be carried over when you filter further. In any case, have fun with the new page and feel free to comment here if you see anything bad or have anything to say about the new format. If all goes well I will add this feature to the other statistics pages as well. I am excited to say that here at Blu-rayStats.com we have ordered a 3D HDTV and Blu-ray 3D player and will be able to review Blu-ray 3D titles soon. Sony Style is running some promotions to help consumers get into the latest 3D technology. 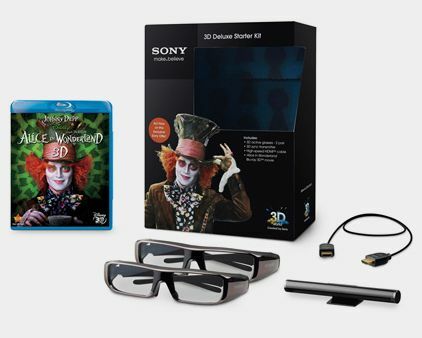 If you are looking to get a bundle, you can get a TV, extra glasses and a copy of Alice in Wonderland on Blu-ray 3D with the 3D HDTV. Save up to $999 on Sony BRAVIA® 3D HDTV bundles, with installation also included. If you need a Blu-ray 3D player as well, you can save even more. Save up to $1149 with select Sony HX800 3D HDTVs plus a free Blu-ray player and 3D starter kit, and again, installation is included. You can also save up to $799 on Sony BRAVIA® LX900 3D HDTV bundles with 2 movies, 4 pairs of glasses, and free installation. If you just need the TV, you can save on Sony BRAVIA NX TV’s – up to $600 on Sony Dynamic Edge LED backlit 3D HDTVs with Motionflow PRO 240Hz. All promotions run until the end of October 2010. Blu-ray sales into July remain fairly steady with a market share of 11% on a decent revenue of $17.35M for the week ending July 4th, according to Home Media Magazine. Fox release Percy Jackson & The Olympians: The Lightning Thief took 1st place ahead of Hot Tub Time Machine from MGM in 2nd and The Crazies from Anchor Bay in 3rd. The top five was rounded out by hot sellers Avatar from Fox and Warner’s The Book of Eli. The new release of Predator (Ultimate Hunter Edition) from Fox, with its super shiny new transfer, also made the chart in 13th place. Magnolia got a boost with their release The Warlords, featuring Jet Li, in 14th position. The new release market share for the top selling titles were fairly strong, with Percy Jackson & The Olympians: The Lightning Thief at 25%, Hot Tub Time Machine at 28% and The Crazies at 32% market share. Avatar continues its strong tradition with 42% market share on Blu-ray Disc, while the HBO television series Entourage: The Complete Sixth Season is at the other end of the scale at 15% of sales on Blu-ray Disc. Today is Labor Day in the United States, and as with other public holidays, I am going to take the opportunity to talk about some behind the scenes and personal activities. September is a very busy month for me personally, with a short film project in progress and a two week vacation in Europe at the end of the month. I intend to keep up the basic updates while I am travelling, but there will probably be less here in the News Log during that time. On the website side of things I am working on two new features for the database. Firstly I am enabling international entries, which will allow the same kind of details that we have for the US database to be stored for titles of interest from other countries. Secondly I am aiming to enable extensions for titles with more than one disc or one movie included, to allow for complete information for box sets. These features are in progress and will eventually go live on the site. Hope all you US residents had a great three day weekend! I see a few interesting new listings for the UK. Watch for Ghostbusters from Sony Pictures Home Entertainment on June 15th, 2009. 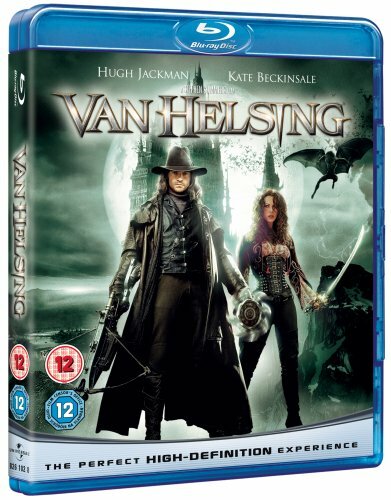 Van Helsing has been listed by Universal Pictures UK, scheduled for April 7th. Also watch for Revolutionary Road from Paramount Home Entertainment on June 29th. South Pacific has a different distributor in the UK – watch for this from 2 Entertain Video on June 15th. Just a personal aside – I am sure that some have noticed a posting slow down this week. Those who follow me on Twitter will be aware that my previous day job evaporated and I have been seeking new employment, since sadly the website far from covers the cost of living in the San Francisco Bay Area. The good news is that I secured a new job today with a nice increase to boot – however I expect this will mess with my routine somewhat. So the erratic posting may continue until I am settled in my new schedule. I am also working on a new version of the site code and am considering making this public early for the keen folks amongst you to beta test. If there is enough interest in comments, I will put a pointer to the new site version on the forum and open a discussion there. Folks, sorry for the outages today that were due to DNS issues at my ISP. Things should be working just fine now and will hopefully continue to do so. Update: No sooner were the DNS issues solved, apparently the main router blocked all the traffic causing outage for most of Sunday and Monday. I will be poking around to see if everything is intact – so far it looks ok. Certainly the next big thing on my list is a ‘plan b’ for when this sort of thing happens again..!